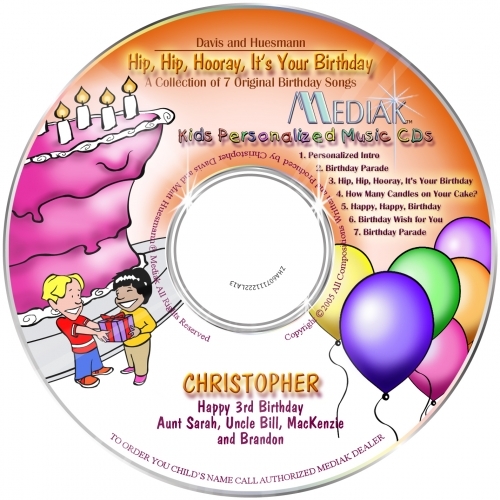 A collection of 8 contemporary Christian songs, using your child’s name 47 times. Realistic battle field intro. Upbeat, energetic and motivating for youth 6 to 12 years of age. 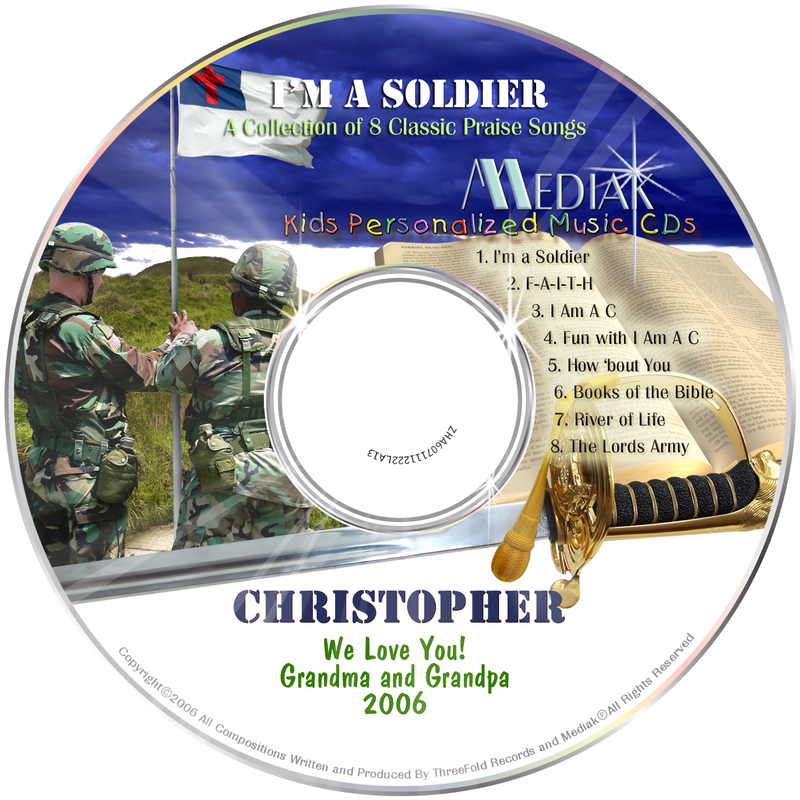 Your special child will love this collection of Christian music. Includes familiar songs such as River of Life, Lord’s Army, and I am a C-H-R-I-S-T-I-A-N. A unique blend of sounds and rhythms. The original songs are written by Christopher Davis and Matthew Husemann. 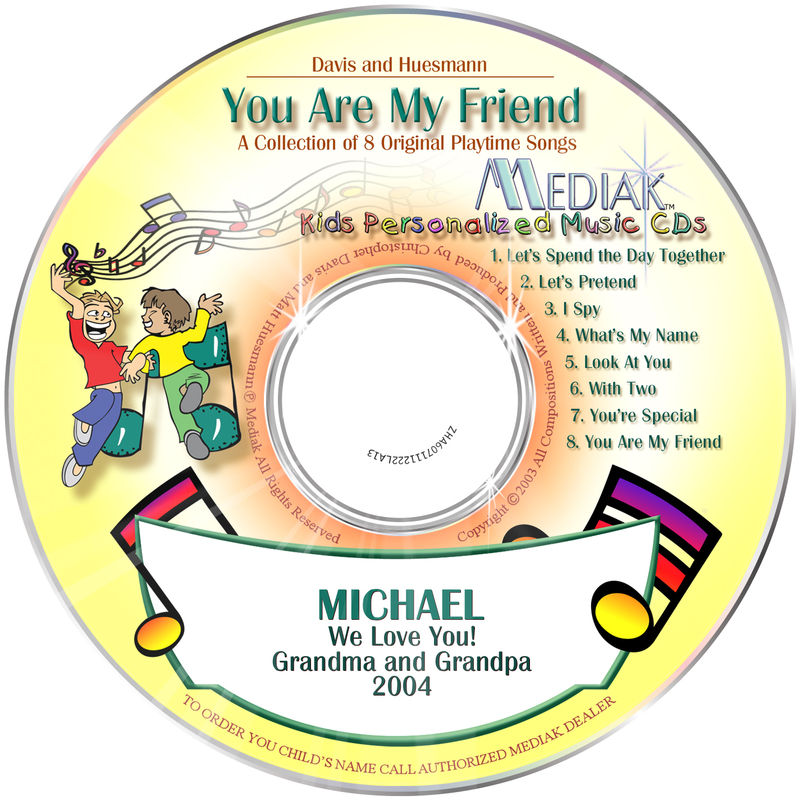 They have composed and produced for such labels as God Prints, Cedarmont Kids, Golden Books and Veggie Tales.